This is a very good example of a very rare car. Finished in striking red with a wonderful patina on the black leather interior, this is a car that has been cherished over its lifetime. The history file details work carried out over the years with a full photographic restoration taking place in the ‘90’s. The car has spent much of its life in Germany where care and attention has been lavished on it as evidenced by the raft of German paperwork and receipts. It has been back in the UK for the past 3 years and has recently had the entire leather interior fully restored. The 1971-73 ‘SP’ version (Six-Pack, i.e. with three two-barrel carburetors) packed 385hp. 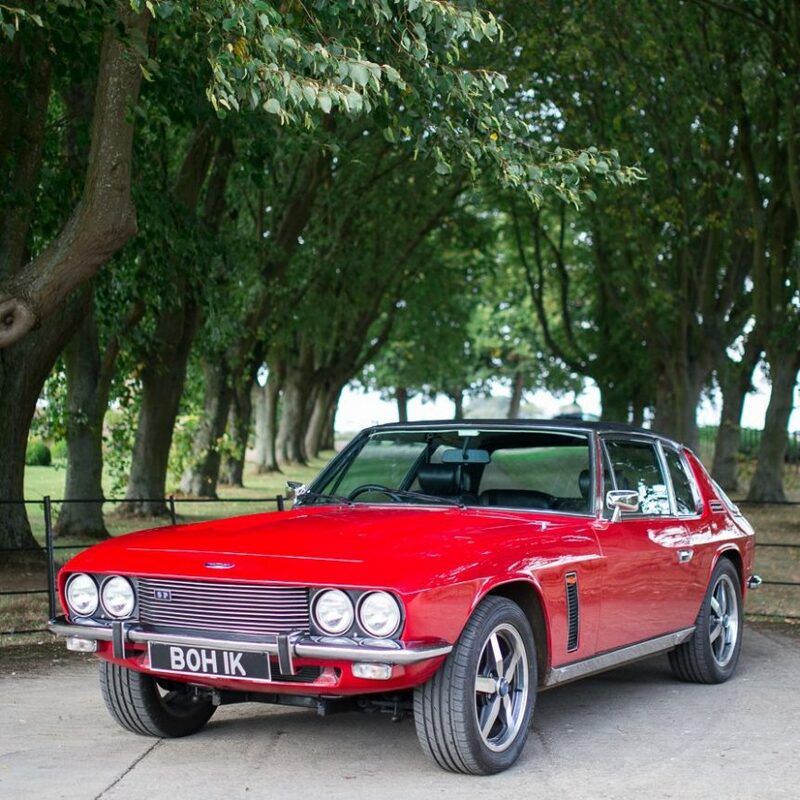 Only 232 were built, and the SP was the most powerful of all Jensen cars than Jensen ever made, if not the most powerful in the world at the time. It came in saloon, convertible and coupé body styles. The Six Pack engine was part of the Mopar lists briefly, but soon became illegal in the USA. As the flagship of the Jensen range, Kjell Qvale pushed the version whilst pulling the plug on the four-wheel option, which was financially draining. The first production Six-Pack Interceptor underwent more development towards research into the Interceptor replacement: the mule was called ‘Big Bertha’. Production SPs had vinyl back roofs, though – confusingly – MkIIIs also featured those. The latter would not pump out more than 300bhp, whilst SP engines were good for at least 385bhp. Alas, reliability suffered. The carburettors’ individual functions were different, with the centre unit smaller than the secondary’s. Further acceleration could be achieved at an already high speed, as the car continued to increase its speed after the driver had removed his foot from the accelerator (secondary carburettors would come into operation at speed as the primary one drew more air). Exhilarating as it was, the SP version was also more economical, and 16mpg could be achieved with a little effort once the driver learnt how to tame the animal.